Claus Porto was established in 1887 in Porto, Portugal by the Ach Brito Company, one of the oldest family-owned soap and perfume manufacturers in Portugal. 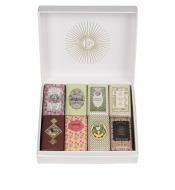 The Claus Porto Bath Soap and Body Care line is still produced using the same tried and tested turn of the century methods and techniques, only using the finest and most high quality ingredients. A traditional brand, Claus Porto seeks innovation, pursuing a philosophy that is artisanal oriented, yet keeping pace with modern standards. Inspired by an early morning walk on the beach, this marine fragranced bath soap recalls sea spray, bergamot and apple, finishing with the subtle touches of sandalwood and vetyver. Claus Porto Water Lily 'Madrigal', made in Portugal. 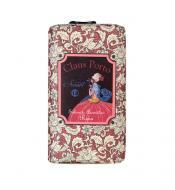 Claus Porto Citron Verbena 'Banho' Soap, lemony, rich and wonderful! Made in Portugal with 100% vegetable-base and made with shea butter. 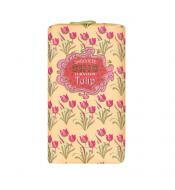 Red Poppy 'Favorito' Soap, extremely energizing and splendid, perfect for both men and women. Claus Porto Cedar Poinsettia 'Chypre' Soap is a thrilling combination of lychee, tangerine and black currant with notes of jasmine, rose and cedar. 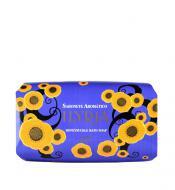 Made with 100% vegetable base and made with shea butter to ensure soft, silky smooth skin. Claus Porto Lime Basil 'Deco' Soap, balsamic and fresh, evokes a sublime relaxation that provides a general feeling of wellbeing. 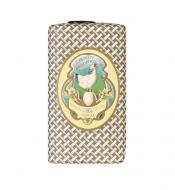 Claus Porto Acacia Tuberose 'Voga' Soap enchants due to its harmonious combination of soft aroma of the acacia flower with the sweet fragrance of tuberose. Claus Porto Elite Amber 'Tonka Imperiale' Soap, the newest of the Claus Porto line of 100% vegetable based soaps from Portugal. 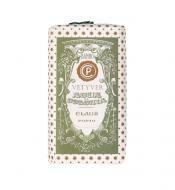 Claus Porto Classic Agua Colonia - Vetyver Soap is has woody scent that blends fresh vetiver with stronger notes of musk. 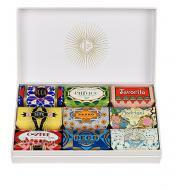 The soap’s ornate packaging design is evocative of Claus Porto’s 19th Century roots, when the house supplied Portugal’s royal family with its finely-crafted soaps.